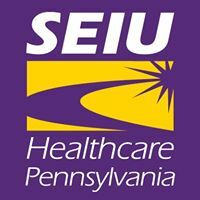 SEIU Healthcare Pennsylvania unites 45,000 nurses and healthcare workers across the continuum of care. We are the nurses, professional and technical employees, direct care and service workers who work in Pennsylvania’s hospitals, nursing homes, home and community based care services, and state health facilities. Together, we work to unite all nurses and healthcare workers, organize at work and in the community, drive public policy and legislation, and build a broad, strong movement for good jobs, quality care, and healthy communities across Pennsylvania. Role: The Organizer is a key leadership role in our union. The responsibility of the Organizer includes leadership identification, recruiting, organizing, and mobilizing workers to participate in the movement to improve the lives of working people, our patients/consumers, and our communities and build a more just and humane society. Organizers build the union through developing member leaders, coaching members in workplace leadership roles, facilitating dialogue, and organizing effective communication and mobilizing networks. Organizers connect the concerns of workers in a healthcare facility to the strategy of the union in strengthening a wider movement for social justice and progressive, pro-working family politics in our communities. Identify, recruit, and develop member leaders to lead coworkers and help lead the union’s programs and campaigns (including collective bargaining, workplace issues organizing, strategic engagement with employers, improving patient/resident care, new organizing, safe staffing advocacy, continuing education, COPE political action fundraising, electoral and legislative action, and community work). Move union chapters to achieve high standards of organization, including high levels of membership and the union’s current COPE political action fundraising standard. Develop members to become capable of executing important union roles and functions ensuring members the chance to grow, learn and lead. Lead contract negotiations, working closely and effectively with elected negotiating committees comprised of member leaders. Lead workers into struggle so that they learn from their experience that their power comes from collective action. Mobilize, coordinate, and support membership networks for various campaigns (including collective bargaining campaigns and strikes, workplace issues organizing, new organizing, COPE, and electoral, legislative, community work). Support activities, struggles, and campaigns of other workers, the union as a whole, and allies in the wider movement for social and economic justice. Develop campaigns inside and outside of the workplace based on collective issues identified by Member Resource Center (MRC). Incorporate and utilize resources of the MRC in member activities. Keep MRC informed and briefed to help support members and member leaders. Assess and develop potential member leaders and activists identified through the MRC. An Organizer must be able to effectively organize their time and develop and carry out her/his plan with minimum supervision. They must also receive direction from and interact with their immediate supervisor on a regular and consistent basis. Listen to workers’ issues, effectively lay out the vision of the union, move workers to overcome their reservations and obstacles, and inspire and motivate them to get involved in union campaigns and activities. Demonstrate a curiosity in members lives and struggles. Identify and develop leaders to take on union leadership roles and help lead union activities and programs. Map member relationships and interests and connect the union to them. Take initiative and be creative in developing new roles for members within the union and provide the support needed to be successful. Successfully lead and mobilize members to participate in campaigns inside and outside the workplace. Establish and cultivate productive and respectful relationships with people from diverse backgrounds, including members and other staff. Optimize use of resources of the union including the Member Resource Center, program staff, and SEIU resources. Display sound organizational skills to plan and manage and prioritize work and balance conflicting demands subject to deadlines in a dynamic and changing environment. Work independently and carry out assigned responsibilities in a competent and professional manner in keeping with the union’s overall goals and expectations. Organizers are expected to work long and irregular hours (on average 55-60 hours per week), work on weekends and holidays when necessary. Organizers are expected to lead by example. It is the role of the Organizer to exhibit model behaviors of what is expected as a leader of the union. All staff are expected to understand and adhere to the union’s values and norms as developed and adopted by the staff. Competitive salary package, benefit package includes fully paid health insurance, defined-benefit pension, optional 401(k), etc. Please include the words “Internal Organizer” in the title of your email.